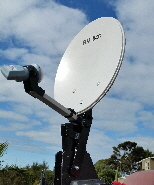 Ideal For NZ SKY, Free viewing and easily bolts onto fitting for old TV antenna, gives you nationwide coverage via sat dish. 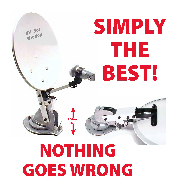 . . use our special Freeview, Sky LCD TV, and its all you need...or buy a simple 12v satellite box off us. 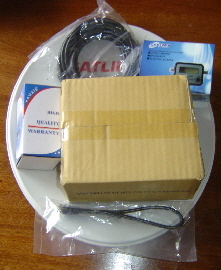 In combination with a 12v receiver this Dish is ideal for camping or temporary holiday installations. 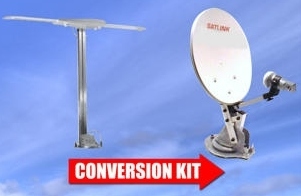 Dish can be mounted on smooth surfaces like a car or caravan roof, glass windows etc. Ideal for your SKY receiver. Two separate items; Includes a Winegard windup kit , and also includes a RV branded dish. 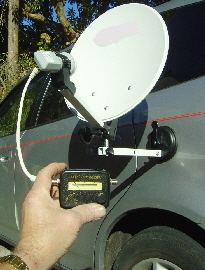 Satellite kit, best you can get, nothing goes wrong, and no rain fade ! ! ! Simple, easy to install. Ideal for your RV/ motorhome.